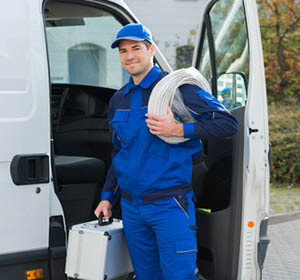 Do you need sewer repair in Benbrook, TX? Many homeowners dread hearing that they need to have work done on their sewers. They fear that the process will cost too much, take forever, and destroy their entire yard. However, when you call a dependable Benbrook plumber from Lightfoot for your sewer repair needs, we’ll take all of the stress and strain for the project. When we do your sewer repair in Benbrook, TX, we’ll make sure you get the best possible deal on the work that you need to have done. We’ll be honest with you about the best way to solve your problem, and about any other options you might have. Then, we’ll find a time to work on your home that is convenient for you and your family. We will do our best to damage your yard as little as possible. We offer trenchless sewer repair technology, which means that we can perform many of our repairs without digging at all. When we do have to dig, to replace pipes or do something else, we’ll make our holes as small as possible, so you don’t have to replace your entire yard after we are done. We know that sewer repairs in Benbrook, TX can be stressful, and we will work hard to make everything as easy for you and your family as possible. Let us show you exactly why so many people in Benbrook trust us with all of their plumbing needs. We would love to come out and help you fix your sewer and anything else that isn’t working in your home.